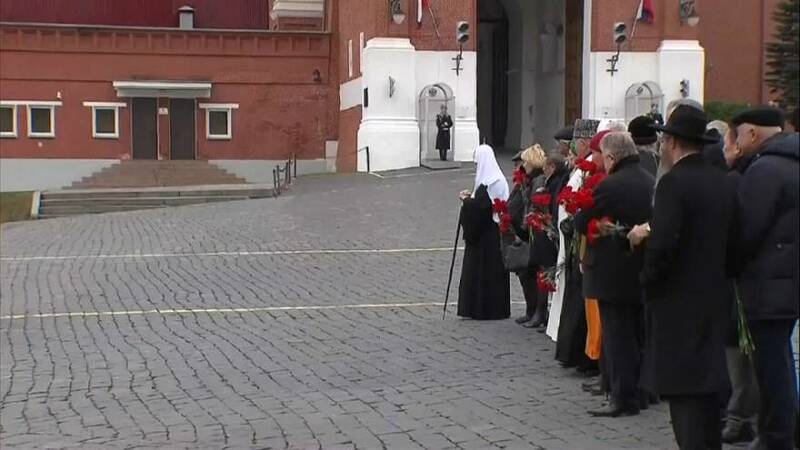 Russian President Vladimir Putin has laid flowers to the Monument to Minin and Pozharsky on Red Square on the occasion of the national holiday – Russia’s Unity Day. The national holiday was re-instituted in 2005 in commemoration of “the end of Time of Troubles” in 1612 when Prince Dmitry Pozharsky and Kuzma Minin who gathered an all-Russian volunteer army and expelled the forces of the Polish-Lithuanian Commonwealth from Moscow. The Monument to Minin and Pozharsky is a bronze statue on the Red Square in Moscow in front of Saint Basil’s Cathedral.